So, you're shopping for a new sink. Whether for a home remodel, or building a new home, there are a lot of choices out there as far as brands and styles go. There are many things to consider in your decision. What's the best value for your money? How does that value compare to what you have to spend? What's going to last the longest and what's going to be pleasing to your eye? How will the choice of sink affect the cost and time spent on installation? When it comes to materials used in these sinks, the choices are surprisingly limited. Stainless steel is the most common choice, with porcelain pulling into second and enameled cast ironlagging in the rear. Each has their own pros and cons. There's a new product on the market for consumers to consider. A sink made of a composite of materials, or a composite sink. 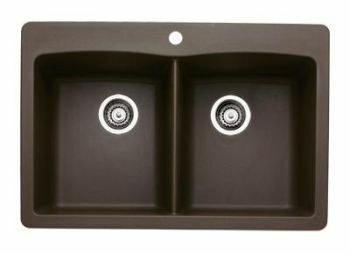 Composite sinks are sinks that are constructed from two different materials, utilizing the benefits of these two materials while minimizing the drawbacks. 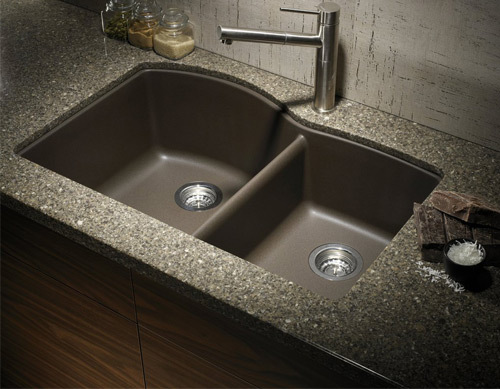 Composite sinks have a natural beauty and strength that single material sinks do not. Each of these tough sinks has a heat resistance that can usually withstand up to 500 degrees and it won't affect the finish. These sinks are resistant to cracks and dents from dropped or broken plates, as mentioned previously, heat damage that can be caused by hot pans. They're also resistant to scratches caused by silverware and kitchen utensils. 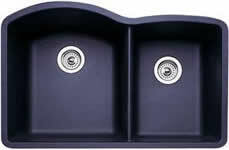 Composite sinks are available in several materials. They're made from quartz, granite and acrylic blends. The acrylic models are the least expensive, but a little more vulnerable to scratches. On the plus side, you can find them in just about any color. 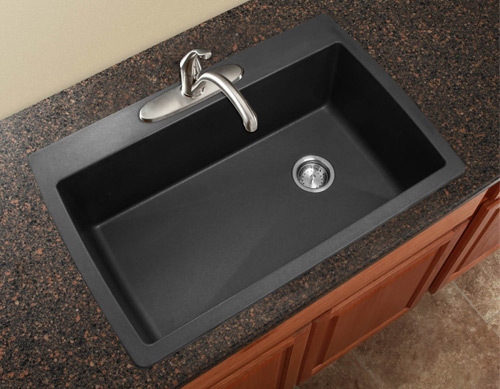 The composite sinks that use quartz are mixed with a resin filler that makes them a bit more durable. Quartz also tends to retain heat and will keep your dishwater warm a little longer. Plus, quartz is attainable on a more limited budget, about $250 for a high-end quartz composite. The granite sinks are the most expensive, but they are the toughest and the best choice if you've already remodeled your home with granite countertops. It may be a good idea to hire a contractor before you decide which sink is the right one for you. The contractor can help guide you in your choice by considering your budget, the space available in your home and your needs. Plus, with a contractor advising you, you'll know exactly how much it will cost for installation and ensure that it's installed correctly. 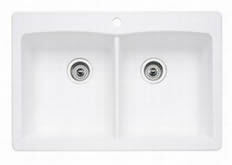 Composite sinks require different installation methods since they are constructed from special materials. A composite sink installation is not a good candidate for a DIY project unless you've been taught these special installation methods, though many of the methods used will depend on if you've chosen an over or under mount for your composite sink. Ask your contractor how this affects his charge for installation and utilization of your new sink. Choose from these Popular Models or Browse the Full Line of Composite Sinks.